While Brandy has enjoyed many burgers for brunch over the years, she's never really considered that hot dogs might also be a viable option (well, except for that the Brunch Dog at Franks 'N Dawgs, obviously). But when the good folks at Bull & Bear contacted Brandy with a little proposition that involved a few encased meats, some of Chicago's most colorful neighborhoods, and a national holiday, she decided to make a (second) exception. As some foodies in the know might have heard, this past Tuesday was National Hot Dog Day, and to celebrate this most momentous day, Bull & Bear have been offering a selection of five different gourmet hot dogs all week, each one themed after a different Chicago neighborhood. Diners were also invited to taste all of the creations together in miniature form via the Frank Plank and vote on their favorites. And as much as Brandy would have liked to attempt the Home Wrecker Challenge (which entailed devouring a 22 inch Vienna Beef dog, dressed in the traditional Chicago style, plus a load of handcut French fries in one sitting, thus gaining the winner a $25 gift certificate, a T-shirt, and a fist full of antiacids), she instead opted to vote for the King of Hot Dogs, enlisting the help of Bailey from The Cider Press to help her choose from the five different candidates. First up was the Pilsen Dog, which had a Mexican flare. Served on a bolilo roll, the dog itself was made from spiced pork, then topped with a cilantro cream, pineapple and cactus salsa, and sliced jalapeno peppers. Brandy loved the tangy sweetness of the salsa as well as the cooling power of the herbed cream sauce, which helped to sooth the slow burn from the peppers ("Not quite soothing enough!" choked Bailey, who got one particularly thickly sliced jalapeno). Next was the Uptown, which had more of an Vietnamese slant, drawing inspiration from a traditional Banh Mi sandwich as well as the warming noodle soup known as Pho. This time it was a spicy beef sausage, topped with a chili infused mayo and a crispy slaw made from pickled daikon radish and carrots, all served on a jalapeno bun. This one had too much kick for Brandy's taste, but seemed to suit Bailey just fine (Brandy, always a bit of a delicate flower when it comes to heat, was nearly brought to tears by this dog, but found the sausage so flavorful she couldn't put it down). Following that came the Pulaski Dog, a smoked Polish sausage on a poppy seed bun with a crisp house made pickle, charred onions, and chunky brown mustard. Both Bailey and Brandy agreed that this was the closest to a traditional hot dog, and that they could have easily eaten the full sized version. The mustard wasn't overly spicy (which after the first two dogs, came as a relief) and along with the sweetness of the onions, the smokiness of the dog, and the tang of the pickle, the flavors and textures seemed to have been perfectly balanced. The Little Italy Dog was next, consisting of a salami style sausage, arugula pesto, provolone cheese, and earthy mushrooms on a fennel seed bun. This one was sadly disappointing for both Brandy and Bailey. "Its just one of those situations where a bunch of ingredients that sound wonderful end up in a mediocre whole," Brandy sighed. The fennel seed in the bun was a little too powerful, it seemed, and masked the taste of the pesto, mushrooms, and cheese, but at least the bold meat managed to shine through in the end. Lastly was the Greek Town Dog, made from a lamb sausage on a sheet of pita bread and topped with tomatoes, pickled red onion, feta cheese, and tzatziki sauce. Brandy simply adored this dog, which had a smooth, velvety texture to the meat, as well as a wonderful richness from the tzatziki. Bailey lamented the lack of spices in this one and felt the sauce Brandy so loved was over powering the rest of the toppings a bit. Brandy did agree that this one needed something crisp to round it out, but still really enjoyed the traditional Greek flavors. After so much meat, Brandy and Bailey decided to round off their meal with a little slice of Cheesecake, which had a non-traditional salty pretzel crust and came served with caramel sauce and raspberries. As we all know by now, Brandy can hardly resist a salty/sweet combo, and this dish didn't let down on either front. Both ladies continued to debate their favorites to the bitter end. Brandy preferred the sweet/tangy Pilsen and the rich Greek Town, while Bailey sided with the crisp Uptown and the traditional Pulaski. Luckily, Hot Dog Week at Bull & Bear is not yet over, so if any of our readers would like to judge for themselves, we would love to gather some more opinions on which one is truly the King of Hot Dogs! There is no one, and we mean no one, who takes a heat wave as badly as Brandy. Usually once the temperatures in Chicago climb over 80 degrees, its hard to convince Brandy to move away from the nearest air conditioning vent, let alone to leave the house for any reason less than a fire. "The English are not made for this kind of heat," she complains from her living room, pointing several fans at different parts of her body, "We don't tan, we don't even burn. The English disintegrate in the sun." So when the temperatures began to rise this week, several of Brandy's friends became concerned when she stopped showing up for book club meetings, quilting society rallies, and other such social events. Just to make sure she was ok, Brandy's old friends Hawke from The Cider Press and Bain Marie Bistre (owner of Doggie Delights Bakery, a subsidiary of Honey Bee Bakery, that produces all natural and delicious treats for canines) decided to drag her from the safety of her chilly house by offering the one thing they knew she wouldn't turn down: brunch. "God help you if you take me anywhere that isn't cool!" Brandy scolded them. "Don't worry," said Bain Marie, "The place we've picked is plenty cool, in more ways than one." "What's the cocktail menu like?" Brandy inquired skeptically "Extensive," said Hawke, and that seemed to be enough to convince Brandy to go with them. They arrived in River North at 25 Degrees (so named for the exact temperature difference between a raw and a well done burger) to find a buzzing gastro-pub type of establishment, boasting not only several delicious sounding burger concoctions, but a newly revamped brunch menu to boot. The inside of 25 Degrees had a sort of classic, old fashioned, classy interior with high tables surrounding a heavy wooden bar and leather covered booths bumped up against red damask walls. The over all effect was tasteful and inviting, which helped to convince Brandy to tear herself away from her search for an ice machine to dive into. Though it was a tad loud, the atmosphere seemed to be generally upbeat and relaxed. To help them cool off, Bain Marie and Brandy ordered a couple of boozy lemonades: The Lemon Buzz and the Summertime. The Lemon Buzz had an excellent bright flavor, a good hit of sweetness, and just the right amount of fizz to keep things refreshing. The Summertime was a combination of watermelon, vodka, and basil which was extremely fresh and subtle, less sweet than the Lemon Buzz, but still just as refreshing. To start off, the group ordered the Bacon Wrapped Dates and the Tempura Green Beans. The beans were nicely crisp, not too heavy or greasy, but had a lovely saltiness to them. But the group agreed that the dates were truly something special. The bacon was perfectly charred and wonderfully smokey, while the dates provided a kick of sweetness and a creamy mouth feel. The only problem with them was that the plate had seven morsels on it, causing a sort of Mexican standoff amongst Brandy, Bain Marie, and Hawke for the last one (Bain Marie won by tricking the other two into reaching for two of her Bacon Buddy dog biscuits, which she had slipped unnoticed out of her pocket and onto the plate). For his entree, Hawke chose the Breakfast Quesadilla, with eggs, beans, chirizo, and queso fresco. Hawke loved that the dish came with generous portions of chunky guacamole, spicey pico de gallo, and sour cream on the side so that he could customize each bite. The quesadilla itself had a good punch from the chirizo, but Hawke found that each bite varied in its filling. "It's not necessarily a bad thing though," he said, "I like a bit of surprise." Bain Marie went for the Number Two Scramble, which mixed eggs with spinach, goat cheese, onion, and sun dried tomatoes. Bain Marie was especially impressed by the side of potato hash as well as the chibata bread, which resembled a bruscetta more than just every day toast. The eggs themselves were soft in texture, and the spinach lent a brilliant freshness to the dish. Bain Marie did feel that the dish was a little heavy on the onions and a little light on the goat cheese, but over all quite a nice mix. "Its not something I would give to the dogs, obviously, but it does nicely for me, " Bain Marie smiled. Brandy chose the Number One Burger, which came topped with bacon, arugula, tangy thousand island dressing, and caramelized onions with fries on the side. The fries were a little uneventful, but done well. Brandy's first impression of the burger was that it had a true beefy flavor, which may sound boring, but as she put it herself, "Sometimes a burger gets too big for its britches with a bunch of fancy toppings and forgets to actually taste like a burger." Brandy really loved the sharpness of the Aderkasse Reserve, a sharp white cheese that helped to tie together the richness of the smokey bacon, the crisp peppy arugula, and the unusual, but delicious choice of dressing. To finish things off, Brandy and Hawk indulged in some of the ice cream and booze laden treats on offer. Hawke went with the Bean and Beer, a traditional root beer float with a shot of whiskey to make things interesting. Though not a big drinker (other than cider, of course), Hawke rather liked the combination. Brandy went for the Salty Caramel Shake, which was made with vanilla ice cream, butterscotch liquor, and came topped with fresh whipped cream and pink sea salt. The result was strong, indulgent, and utterly brilliant. "If anything today made it worth braving this heat, it was this!" Brandy exclaimed before attempting to lick the glass clean. After all was said and done, Brandy was rather happy that she had decided to leave the house and come out to brunch. The food was bold, yet familiar, the service cheerful and prompt, and for all they had enjoyed that day (6 cocktails, 2 appetizers, and three entrees), the bill seemed reasonable at just about $40 a person after tax and tip. So it may have been no surprise that when it came time to leave, Brandy was a little reluctant to abandon the still largely unexplored cocktail menu for the oven like heat outside. *The writers of this blog were given the food and drink mentioned in this post at the invitation of the restaurant in exchange for an honest review. Being that dear Bunny is only in Chicago for such a limited time, Our Ladies have been doing lots of running about this past week, trying to hit all of Bunny's favorite spots (The Lincoln Park Zoo, Millenium Park, Wrigley Field, etc.) and some that she has missed since moving away from the city (like Glazed and Infused and 2 Sparrows, both of which she had been wanting to try ever since Brandy raved about them). Finally, on one particular day, this constant running left Our Ladies with an afternoon in the Loop and the realization that they hadn't planned anywhere for brunch! "How could this have happened?" Bunny asked, half laughing and half crying. "Don't worry, I've got a little ace up my sleeve," Brandy assured her. Brandy lead Bunny to the nearest Pret A Manger, the perfect sort of spot to grab something fresh, delicious, and on the go, and as they had seven locations in the Loop (and one in Evanston), this proved to be a very convenient option for Our Ladies. Bunny, who has never been a fan of "fast food" but was very familiar with Pret, as they have locations spread all throughout the UK, was happy enough to grab a few things and then set on their way once more. Pret A Manger (French for "ready to eat") prides themselves on making all of their sandwiches, salads, wraps, and other goodies fresh in house every day. You'll not seen an expiration date on most of the food because everything is made and sold on the same day, and the goods that do not sell are donated every night to charities that help the hungry and homeless. Brandy went for the Avocado and Pine Nut Wrap, which boasted a refreshing mix of creamy avocado, crunchy pine nuts, tomato, spinach, basil, cucumber, and Mediterranean Dressing all wrapped up in a tortilla, as well as some freshly squeezed Honey Tangerine Juice (the ingredients list says "100% Tangerine Juice. Nothing Else."). The wrap was so crisp and fresh on such a such a hot day that Brandy ended up tucking the second half of it back into its resealable packaging to save as a burst of refreshment for later in the day. Bunny picked the Beets and Berries Salad as well as the Chilled Pea and Mint Soup. The soup was a real revelation, having a creamy, yet light base, succulent butter poached peas, and a hint of freshness from the mint (Bunny found it so delicious, she considered dispensing with the spoon all together and just drinking the concoction). The salad also proved to be light and refreshing, yet filling, with sliced strawberries, shredded beets, walnuts, and goat cheese over a bed of mixed greens and spinach. Bunny found the mix so well balanced that she forgot to even add any dressing to it! And so with their bellies comfortably full for the time being (and their wallets also comfortably full, as both Our Ladies meals only totaled about $25 combined), Bunny and Brandy once more set off into Chicago. Stayed tuned for more adventures with Bunny while she's still in town! Greetings dear readers! We hope you are all enjoying a very exuberant Independence Day weekend! This week, we have wonderful news. Our dear Bunny is once again back in Chicago for a little visit in between investigations into a sunken pirate ship deep in the depths of Lake Michigan! So when XperienceDays.com contacted Our Ladies with the opportunity to try one of the amazing experiences they offer, Bunny thought it might be the perfect chance to re-aquatint herself with Chicago. XperienceDays.com host an amazing array of luxury experiences that make for great gifts, exciting dates, or even a super treat for your self. Among the many packages available for Chicago (XperienceDays.com also hosts over 2000 experience packages for cities all across the country) were things like bike, segway, and walking tours of various parts of the city, various cruises down Lake Michigan and the Chicago River (including a brunch cruise! ), art classes, NASCAR racing classes, and even one package that would let one have a simulated dog fight in a WWI replica flyer. As appealing as hot air balloon rides, song writing workshops, and helicopter tours sound, Bunny naturally gravitated towards the food related experiences, which included things like pizza tasting tours, beer tasting tours, and even cooking classes. After much deliberation, she settled on the Chicago Chocolate Tour of the Magnificent Mile. The tour began at the Shoppes at 900 N. Michigan where the group met their endlessly cheerful tour guide, who helped them to learn a little about the history and manufacturing process of chocolate. Going upstairs to the 5th floor, the tour began properly at Teuscher Chocolates, a traditional Swiss chocolate shop, decorated with beautiful garlands of silk flowers and boasting handmade truffles, bon bons, cordials, and more. The group sampled a signature Champagne Truffle, which had a delicate chocolate coating and a dreamy, creamy, burst of concentrated champagne flavor in the middle. Our ladies also eyed up the chocolate bars, which boasted flavored like Truffle, Pink Peppercorn, and Chili. And then there were the adorable handmade figurines which actually doubled as chocolate boxes. The next stop on the tour was Hendrickx Bakery, sellers of fine Belgian baked goods. The group sampled several of their wares, including a White Chocolate Muffin, an orange scented Chocolate Cake, some Country Bread, and their signature Liege Waffle, studded with crunchy pearl sugar. Brandy was particularly taken with the colorful Mignons, miniature layer cakes with flavors like raspberry, pistachio, and coffee. Bunny wisely pointed out the daily lunch menu, suggesting Brandy may want to come back some day for a little Belgian brunch. As the group walked along, the tour guide pointed out a few spots of interest, from staples of the Chicago skyline like the John Hancock Building and the Trump Tower, to smaller, easy to miss details like the plaster statue of a cow dressed as a lady bug, mounted onto the side of the Talbott Hotel. cupcake wall that took the place of a more traditional pastry case was a brilliant feature. The group sampled a Chocolate Chocolate Cupcake, which was lovely and rich. Bunny and Brandy were especially drawn to one of the regular "savory" cupcakes, the Maple Bacon, as well as one of the daily specials, The Mimosa. "You could make brunch out of those two for sure!" Bunny whispered to Brandy. Lastly, the group traveled to Argo Tea, a common site to Chicago dwellers that specializes in gourmet tea based drinks, doing for the beverage what Starbucks did for coffee. There they learned about some of the health benefits of chocolate while sampling a bit of fresh baked Chocolate Croissant and some Chocolate Chai Tea. The tea, in fact, was so delicious, that our ladies decided to buy a cuppa to sit and catch up over. The Chocolate Tour did a good job of introducing Our Ladies to some hidden gems they weren't incredibly familiar with, but the small samples did leave them a little wanting (though, when it comes to Our Ladies and chocolate, there probably isn't enough in the world to make them stop asking for it). Brandy suggested that better incentives from the shops to buy their wears would have made things a little more special, such as a free gift with purchase or a percentage off same day sales for all members of the tour. 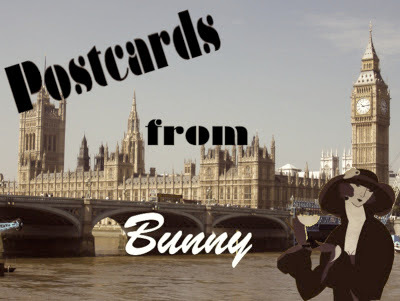 But all in all, it certainly was a lovely experience, inspiring Bunny to browse some of the other packages on XperienceDays.com to find the perfect birthday present for her husband, Benedict (last we checked, she was still debating between a sky diving lesson and beer tasting tour). *Tickets to the Chicago Chocolate Tour were provided free of charge to the writers of this blog by www.xperincedays.com in exchange for an honest review of the experience.